Pastors Dale and Jessica Knisley of NewBridge Church. Pastors Dale and Jessica Knisley are pleased to announce the community launch of NewBridge Church, located at 220 Court St., Washington Court House. Service time is at 11:30 a.m. In 2012, Pastors Dale and Jessica were called of the Lord to return to this area, to build the Kingdom of God and the communities of South Central Ohio. With Pastor Dale’s heart connection to the city of Washington Court House (a 1993 graduate of Miami Trace High School) they chose to purchase and remodel an older building downtown. With the help of many families and hard work the building was remodeled to maintain its vintage style and appeal. Pastor Dale Knisley has served in ministry for 20 years, as a youth pastor in Wichita Falls, Texas, and as an assistant pastor in Panama City, Fla. Dale was trained by his mentor John R. Ramsey for 10 years before returning back to his home roots of Washington Court House. During his 10 years in Panama City, Fla., Dale met his wife Jessica, a born and raised Floridian. As a hairstylist for John Ramsey, Jessica was then introduced to not only church but also her soon to be husband Dale. After only a short time, she then received the Lord into her life. A year later Dale and Jessica blended their two families as one; this would soon prepare them for a ministry of restoration and new life. Jessica ministers along side of her husband, helping women overcome struggles and issues in today’s world. As a working mother she understands the problems that women face, including a balance of body, soul and spirit. This year, Pastor Dale and Jessica Knisley are celebrating eight years of marriage with their five children, Kirstein (24), Alyssa (22), Chase (20), Jaden (15), Jorden (14) and two grandchildren Asher (2) and Lincoln (2 months). The blending of their families has been a challenging journey that a lot of people deal with this day and age. The NewBridge Church family is a non-denominational congregation; they would like to invite you to join them in a ministry with a heart for people, community and spiritual growth. Anyone looking for a place to call home and be part of a growing family, there is a place for you at NewBridge Church. 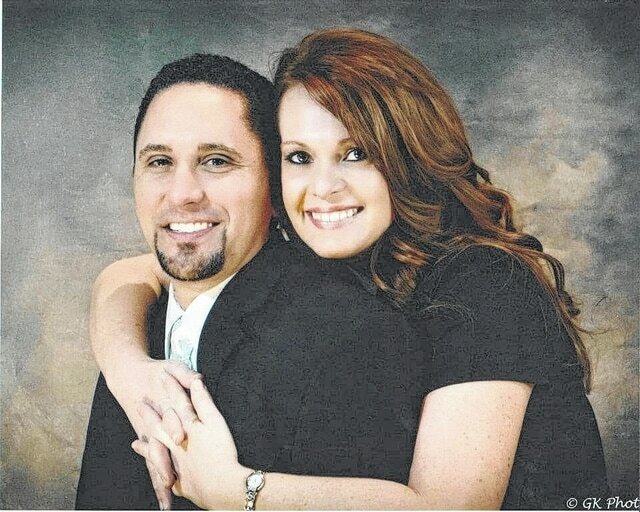 https://www.recordherald.com/wp-content/uploads/sites/27/2016/07/web1_NewBridge-Photo.jpgPastors Dale and Jessica Knisley of NewBridge Church.